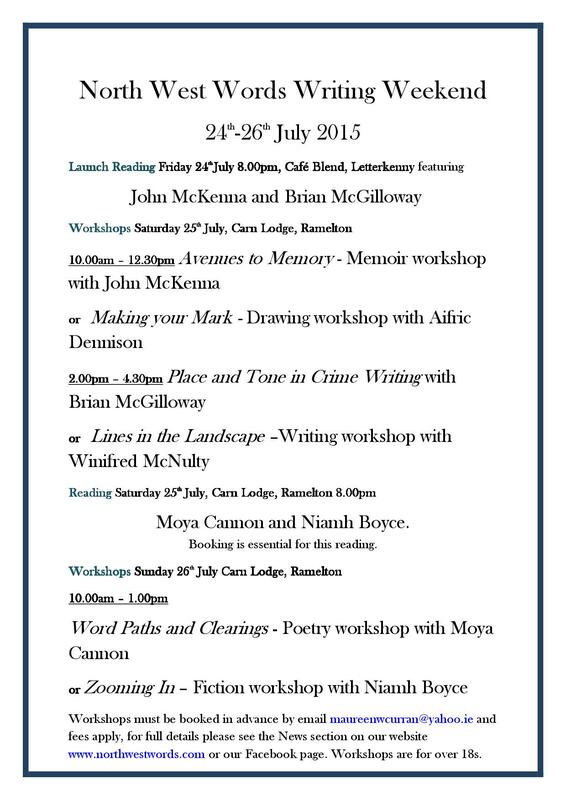 Maureen from North West Writers sent me on a circular of their writing weekend from 24th-26th July. Special Writing Weekend workshops will be held in the beautiful and tranquil settings of Carn Lodge, where I had the pleasure of giving a workshop earlier in the year. Facilitators include John McKenna, Niamh Boyce (fellow Novel Fair winner!) and a launch in Cafe Blend in Letterkenny. More information available here or below.